young leaders to spark a renaissance in Africa. 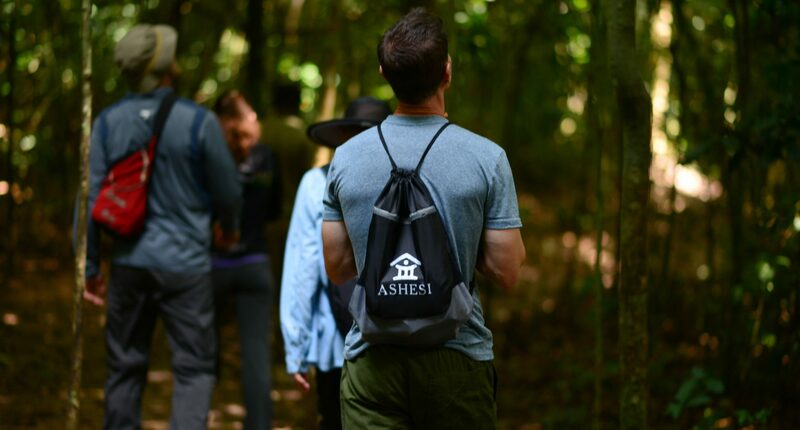 Our 11th Annual Trip to Ghana will showcase Ashesi's unique culture of innovation, entrepreneurship, and ethical leadership. Trip participants will be paired with students to attend classes, visit graduates at their workplaces, and learn about upcoming initiatives from university leadership. Complete your experience by exploring Accra, Elmina, and Cape coast. We’ll traverse a rainforest, visit historic sites, stroll through museums and art galleries, and relax on the beach. This trip is for anyone who wants to see beyond the tourism and news headlines, to the promise of today’s Ghana and the bright future that Ashesi students and alumni are working to create on their continent. We hope you will join us! Witness Ashesi University's culture of innovation, entrepreneurship, and ethical leadership in action. Hear from university executives, faculty, and President Patrick Awuah about our mission and vision for the future. 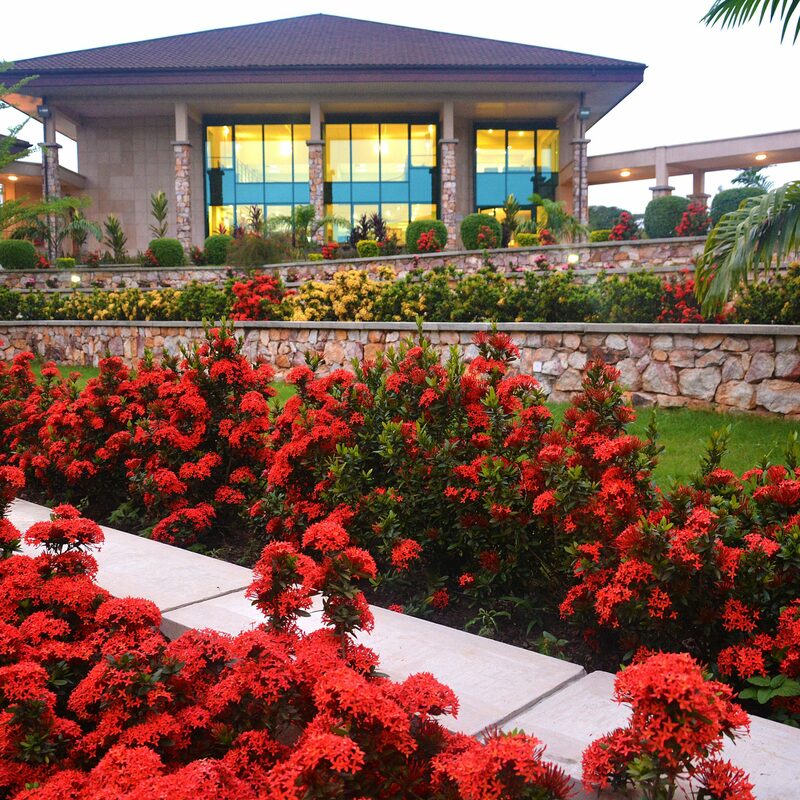 Explore Ashesi's five new buildings, each constructed over the past year. 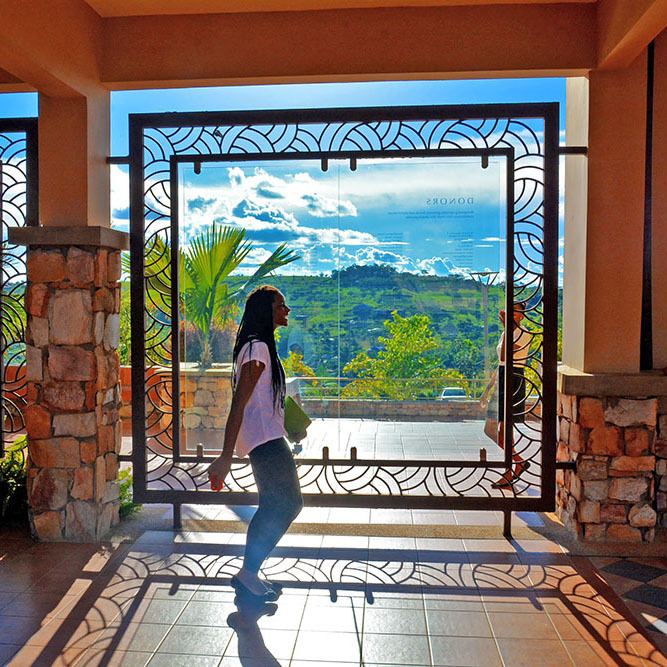 What's a day in the life of an Ashesi student really like? Attend classes with a student partner, learn about student initiatives, and visit popular campus spots like the Cantina and the Engineering Workshop. 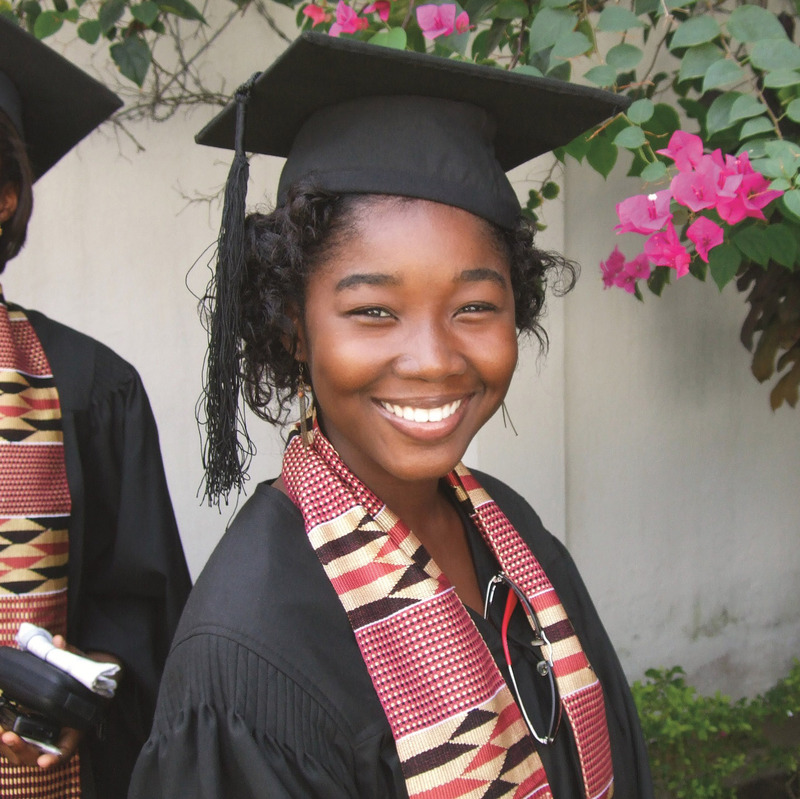 What about life after Ashesi? Meet with alumni to learn about their experiences, visit their workplaces and see how they are transforming their communities in Ghana. On our trip to Ghana's beautiful coast, we'll traverse a rainforest, visit historic sites, stroll through museums and art galleries, and relax on the beach. 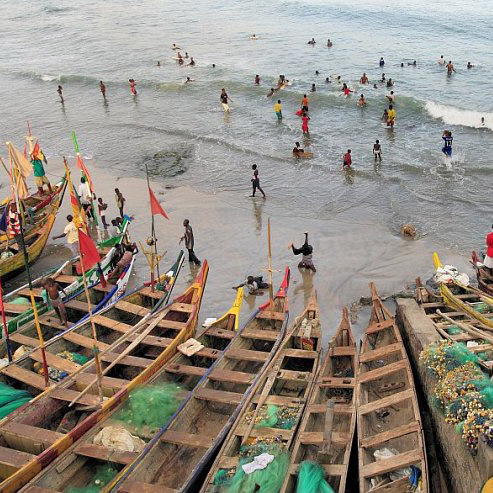 We'll visit Cape Coast Castle, a historic departure point for slaves bound for the Americas. The castle is now a UNESCO World Heritage Site and home to the West African Historical Museum, established by the Smithsonian in collaboration with the Ghanaian government. We will tour this historic site, see the Door of No Return, and hear from our guide about the history and legacy of the slave trade. 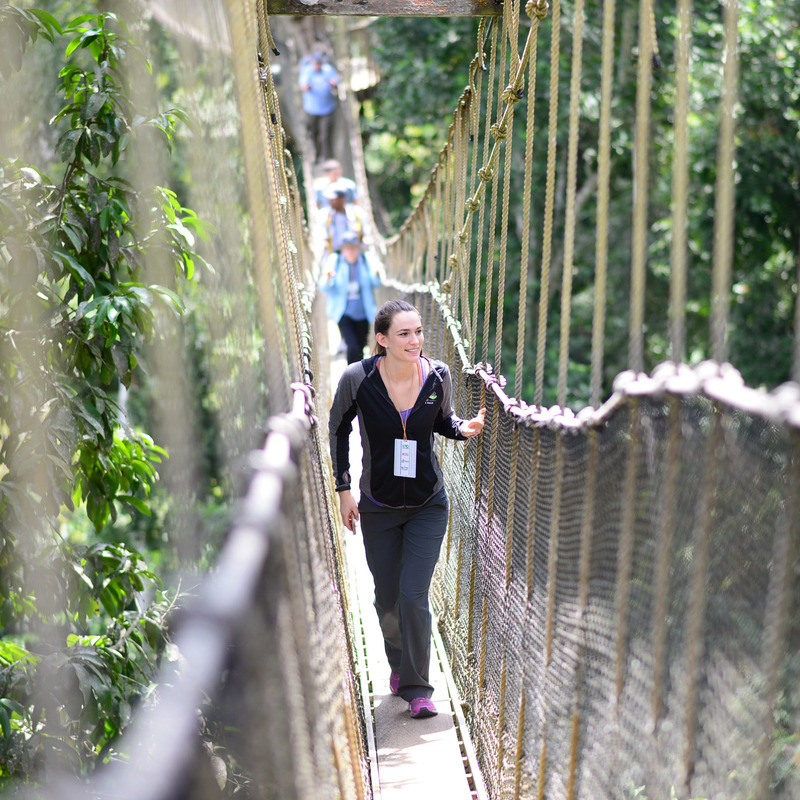 In Kakum National Park, we'll traverse a 1,150-foot canopy walkway 100 feet above a tropical rainforest — one of only three such walkways in Africa. Look out for butterflies and some of the 266 bird species living in the park. 8 am - 1 pm: Experience the Makola Market, a renowned open air market in Accra. Afterwards, enjoy a buffet lunch with your fellow travelers. 1 - 4 pm: Visit Soronko Academy, Founded by Alumna Regina Honu '07. Soronko teaches young women coding skills. 4 - 8 pm: Free evening - relax, dine out, or explore with an Ashesi community member. Ashesi partners with a Ghanaian tour agency, Landtours, to make in-country arrangements. Guests are responsible for their own air travel and visa expenses. The trip cost is $1,765 for double occupancy and $2,615 for single occupancy. This fee covers lodging, in-country transportation, sightseeing and activity fees, daily breakfast, and select lunches and dinners. Participants stay at 3-4-star hotels with all the facilities you would expect: a swimming pool, gym, business center, and Wi-Fi. Daily breakfast is included with Ghanaian and Western offerings. Our tour partner, Landtours, provides private transportation, with a driver and knowledgeable guide. The air-conditioned shuttlebus has spacious seating and is stocked with bottled water. An Ashesi staff member will be with the group at all times. What should I know about traveling to Ghana? Ghana is a safe, friendly place to visit. English is the official language, with over 250 languages and dialects spoken throughout Ghana's 10 regions. In October, the weather is typically 75-85° Fahrenheit. Known as the “Year of Return,” 2019 marks 400 years since enslaved Africans, many of whom departed from Ghana’s Cape Coast Castle, arrived in North America. A day-by-day look at our week in Ghana. A selection of favorite fiction and non-fiction books recommend by past trip participants, Time Magazine, and Ashesi professors. Helpful information on planning for your trip to Ghana and making the most of your time there. Ready to reserve your place on this year's trip? 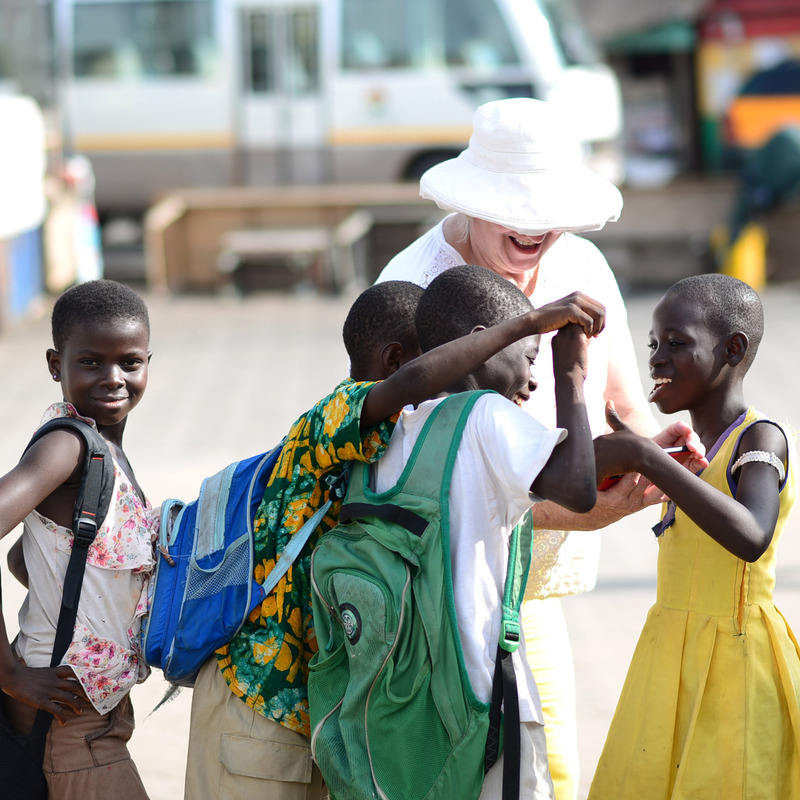 Visiting Ghana outside the Annual Trip dates? We would love to connect you with Ashesi staff at the university for a campus tour. To learn more, please contact us at foundation@ashesi.org.